My inner third-grader always gets excited about holiday's like Valentine's Day. I know a lot of people pooh pooh it, but I love it. I have decorated my classroom with little hearts and have even tailored my IB curriculum in school to focus on Social Relations, more specifically love and friendship. For my Frenchies "L'amour et l'amitié". On Friday I am having my French 3 kiddos come over for some chocolate fondue to celebrate the big day. Of course, you have to start the week with a good mani. I found a super juicy red in Wet n Wild's line. the mess was a little less! 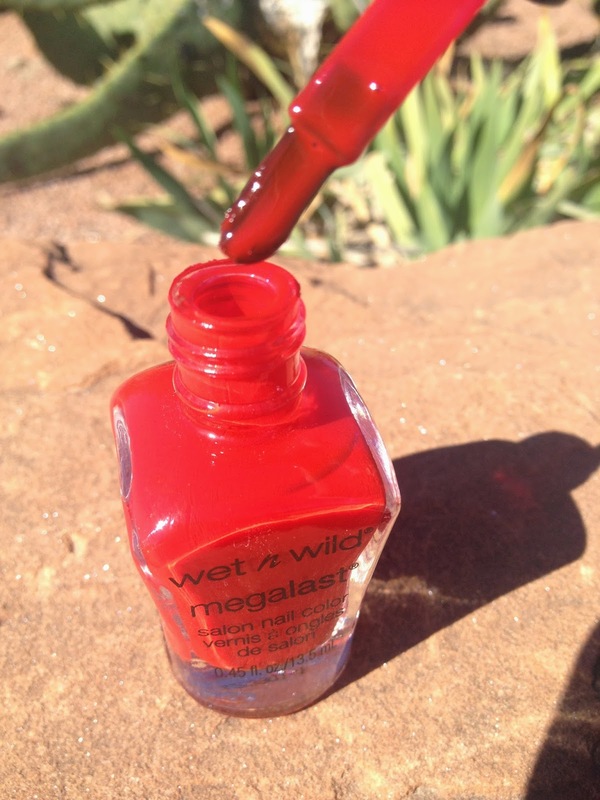 I Red a Good Book by Wet N Wild is my pick of the week. Are you more reds or pinks for Valentine's Day? photos are very well taken.. any tips u can share? Red. :) Maybe I'll wear one of my MAC red lipsticks.. I'm rather ambivalent about Valentine's Day, to be honest. But I feel a bit nostalgic seeing classrooms decorated for the occasion!